Effective April 1, CJIA has been collecting an extra $4,000 from every passenger for using the renovated airport. 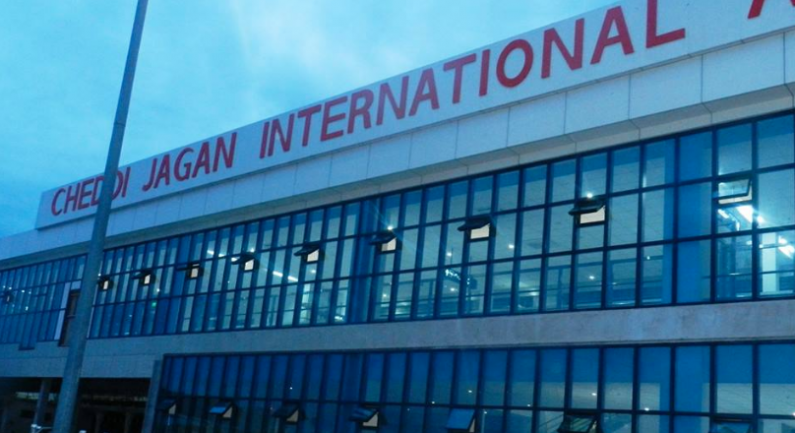 Effective April 1st, 2019, passengers using the Cheddi Jagan International Airport (CJIA)- Timehri, were expected to pay an additional $4,000 in fees, thanks to the US$150M renovations. The fees include an airport security fee for $4,300, up $1,800 from $2,500 and the passenger facility charge which moved from $1,100 to $3,300, an increase of $2,200. The airlines operating have reportedly informed travel agents and other stakeholders. The taxes are being collected from the point of sale and are shown on passengers’ tickets separately. Guyana learnt of the increases via a circular dated January 25, 2019 by the CJIA to airlines. “We have added a new arrivals terminal, rehabilitated and expanded the departures terminal and have included amenities such as elevators, escalators and passenger boarding bridges. The main runway is also being extended to 11,024 feet and new remote parking apron constructed to accommodate Codes D and E aircraft,” the airport explained in its circular. It said that undoubtedly these costs, along with additional staffing and equipment needed to handle increased passengers traffic, will see recurrent and capital expenditures increasing significantly in the coming years. It was disclosed that the International Civil Aviation Organization (ICAO) policy on charges recognized that such capital expenditure placed a burden on Government and airports and made provision for such sums to be recovered over a period of time by way of implementation of new fees or amendment of existing fees. The airport said that against this background, effective April 1, the airport security fee would be US$20 per departing passenger. “This fee will replace the current airport security fee and passenger screening fee,” it was explained in the circular. The airport also said it would be implementing an additional fee…a passenger service charge of US$15. This fee replaces the current passenger boarding bridge and the (Common Use Terminal Systems) CUTE fees. “Additionally the fee will cater for use of the CUTE, FIDs (flight information display systems) Self Check -Kiosks; use of the counters at check-ins and boarding gates; and use of the terminal building including passenger boarding bridges. The airport corporation is kindly requesting the airline to put measures in place to have this fee included on its ticket effective 1st April, 2019,” the circular had urged. The circular was issued as the Government of Guyana prepares to take full possession of the facilities which has been under expansion contract since 2011. The project has been marred by one problem after another. The contractor, China Harbour Engineering Company, failed to deliver. The project, the largest ongoing infrastructural undertaken by the government, has spanned three administrations thus far. It was inexplicably modified by the Coalition Government starting in 2015 with Guyana getting a considerably smaller airport, though still obligated for that US$150M bill. China Harbour, in the meantime, seems to have escaped with a slap on the wrist. The project has been angering observers who insisted that Guyana did not get value for its money and in any case, there seems little concern by the government for demanding same.